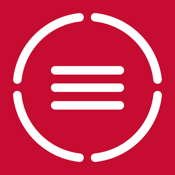 ABBYY TextGrabber easily and quickly scans, translates and saves your chosen text or QR-codes from virtually any printed material. 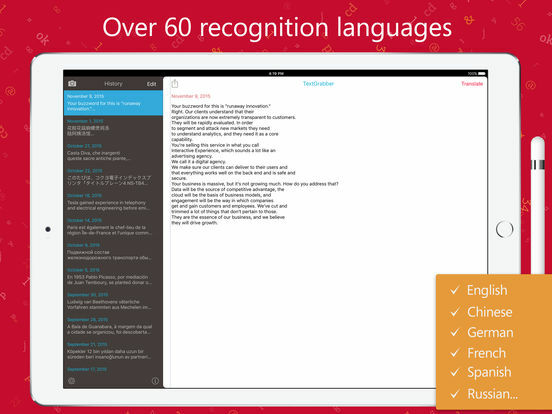 Simply take a picture of the text on 60+ languages or QR-codes and immediately edit, hear it spoken aloud via VoiceOver, translate it into 100+ languages, send your text by SMS or e-mail, or share it quickly on Facebook, Twitter or Evernote. 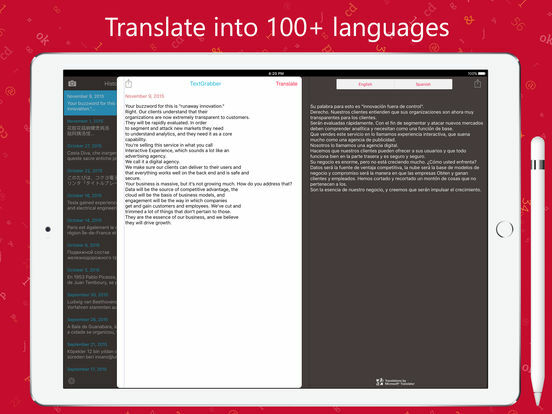 Translation is available as a separate in-app purchase. 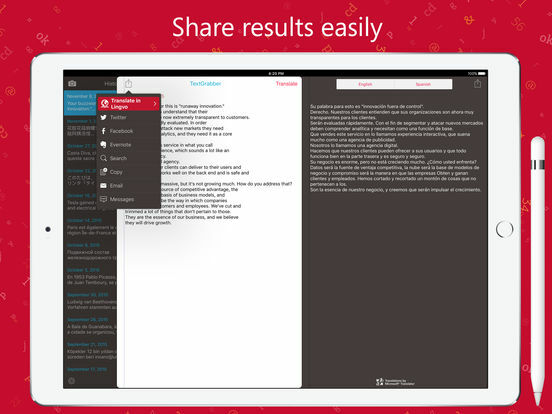 • Easy and accurate text or QR-codes capture from printed sources, such as books, magazines, ads, timetables, etc. The application is partially compatible with the iPad 2 and iPod Touch 4 Gen (uploading images from photo album is only available). 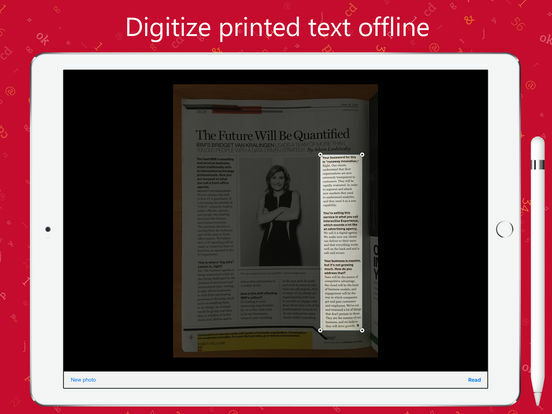 ABBYY TEXTGRABBER IS THE BEST WAY TO DIGITIZE, SAVE AND TRANSLATE ANY PRINTED INFORMATION! Please leave a review if you like ABBYY TextGrabber . Thank you!